Dhaka, 5 Mar, Abnews: The Myanmar Army has again taken position along Tambru border in Naikkhonchhari upazila of Bandarban district. Lt Col Manjurul Hasan of Border Guard Bangladesh 34 Battalion confirmed the matter to the media. 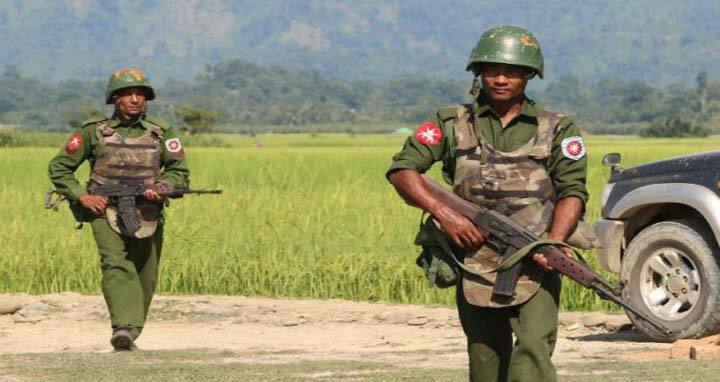 AKM Jahangir Aziz, chairman of Ghumdhum union, said members of Myanmar's Border Guard Police (BGP) were seen patrolling the area since Monday morning. On Saturday, Myanmar removed its Army from the Tambru border following a flag meeting with BGB on Friday. Before that, Myanmar Army took position with heavy troops and artillery along the Bangladesh-Myanmar border from Thursday morning causing Bangladesh to summon the Myanmar envoy to Bangladesh. A good number of Rohingyas gathered near the zero point of the border in the last one month where the members of BGP along with Myanmar Army were seen conducting various activities like installing barbed-wire fences and setting up advance technological surveillance equipment.